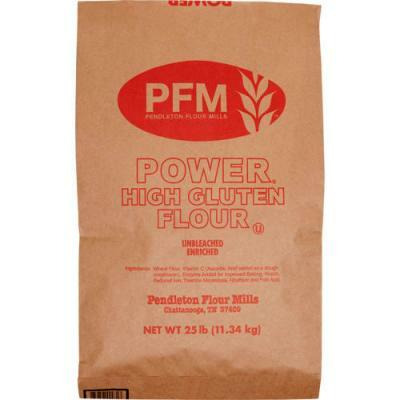 PFM Pendleton's Power Flour is now Grain Craft Power High Gluten Flour. Grain Craft Power flour is a premium high gluten flour. This high protein blend is milled from Northern hard red spring wheat. Grain Craft Power is designed to produce baked goods that require long fermentation and retardation periods. Some applications include hearth and artisan-type breads, sourdough breads and rolls, French and Italian designed loaves, as well as hand-tossed, pan and thick crust pizzas. I'm glad you carry this flour, I'm in Houston and believe it or not it is hard to get here in smaller amounts. There are other high gluten flours here but they are bromated, and not what I wanted. I've use this flour for sometime and it has performed very well. Just wished the shipping was cheaper, at least It's available now.